This organ was designed and built by Burkhard Möller. or as a continuo-instrument in a larger church (for example in front of the sactuary). Please feel free to contact us, if you are interested in this instrument. You are welcome to visit us, take a closer look, and play this tracker organ! for his certificate as master organbuilder. church of Borkheide in Germany. by the examining board of master organ builders. as a house organ, or for a small church. 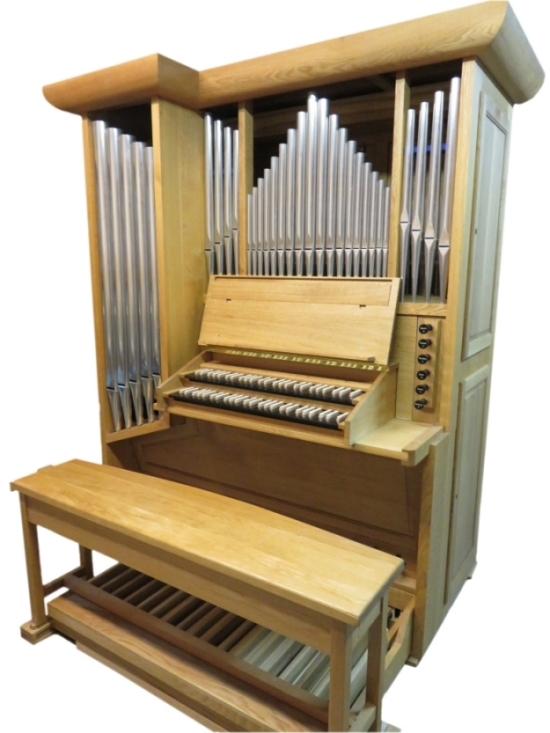 If you are interested in this organ or would like more information, please contact us!